Euphorbia polygonifolia plan in bloom. used by permission of the North Carolina Wildflower Society,www.ncwildflower.org. (Accessed 4/2014). 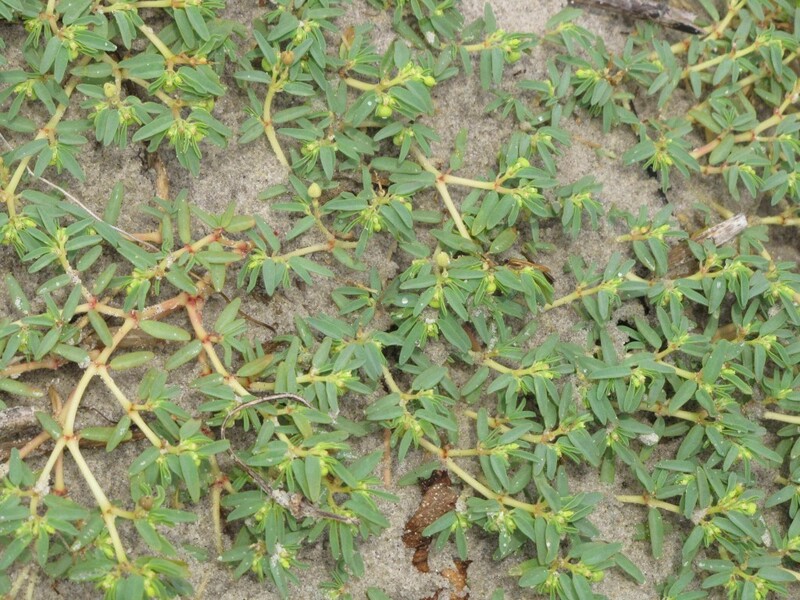 Chamaesyce polygonifolia is an annual herb (Duncan and Duncan 1987), mat forming, prostrate to ascending, hairless, sap milky, poisonous, stems to 25 cm long, often pink or red, branches forking, rooting at nodes, propagating vegetatively if broken (Silberhorn 1982). 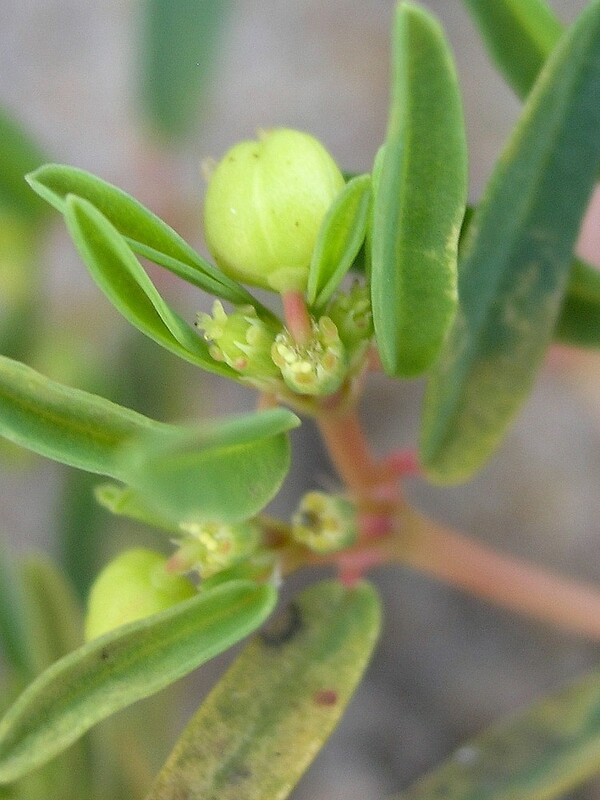 Chamaesyce polygonifolia (Euphorbia p.). leaves. By Arthur Haines. Copyright © 2018. New England Wild Flower Society. gobotany.newenglandwild.org (Accessed 1/2018). Leaves opposite, 08.-1.5 cm long, linear to lance-shaped, pale matte gray-green, margin entire, base slightly unequal. Flowers very small, in cup-like bracts with 4-5 petal-like lobes, in axillary (see E. maculata); blooming and fruiting July-Oct.
Chamaesyce polygonifolia (Euphorbia p.) flowers and fruit. By Bruce Patterson. Copyright © 2018 Bruce Patterson. New England Wild Flower Society. gobotany.newenglandwild.org (Accessed 1/2018). Fruit dry capsule 0.3 cm long with 3 rounded lobes, 3-seeded (Duncan and Duncan 1987). 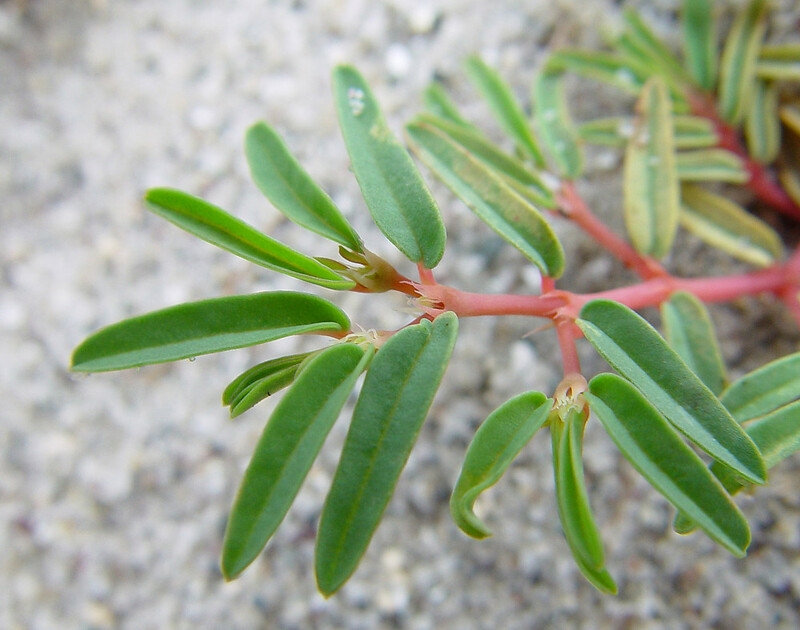 Habitat: Beaches above wrack line.